After the Second World War, European leaders had a plan to “Make Europe great again.” — and it worked. The EU brought peace, stability and economic prosperity to the continent. It all started with the signing of the Rome Treaty, 61 years ago when European founding fathers laid out the first bricks into the foundations of the EU. So, what is then wrong with this picture? In retrospect, it appears that the history of the European Union is a history of white old men in black suits, or as we call them “the Founding Fathers of the European Union”. The construction of national identities uses building material from history and social memory. In this sense, memory is a cement — a cohesive factor which aggregates the community around a myth, narrative, ritual, place of memory, sense of pride or an open wound. It tells a story about our past, its meanings and values for the community. The EU’s memory politics is in many ways similar to those of the nation-states. Since the very beginning there were numerous attempts to vest the EU project with a specific identity, that legitimises its existence and fosters citizens’ identification with the European Union. Today, the concept of European identities is somehow abandoned. Instead of trying to define what a European identity is, shared memories and values are seen as the key components of one’s own identification with the EU. Myths and narratives about the EU’s origin, however, remain the same. The myth about the Founding fathers of Europe explains the rationale behind the EU Integration. A group of wise leaders had a vision and came up with a plan on how to rise Europe from the ashes of the Second World War: Monnet, Schuman, Churchill, Adenauer, Spinelli — just to name a few. Don’t get me wrong: In their imagined Europe gender equality was seen as important. It became one of the key principles of the EU ever since their Rome meeting which introduced the equal pay for men and women (1957). Yet, women were not in the spotlight, nor in the narrative about Europe’s re-birth. Have the things changed since then? Just last week in the eve of the Summit in Brussels, I was looking at the picture of the EPP (European People’s Party) Heads of State. There were 9 men and only one lady, Angela Merkel. The same goes for the EU family photo. The picture of the EU heads of state or governments taken in Rome for the 60th anniversary sends the same message: European politics is still largely a boys’ club. In arts and history, Europe has always been portrayed as a woman, as were also its nations in the early years of the EU Integration process. In mythology Europa was a Phoenician princess, a daughter of the deities Oceanus and Tethys, and mother of Poseidon’s son Euphemus. She was a girl, a daughter, a mother — who, apparently prefers her sons over daughters. Like the founding fathers of Europe, many other extraordinary men and women contributed to the building of the EU. What place EU’s Founding Mothers have in European memory? How are these women memorialised? Simone Veil was the first president of the elected European Parliament. A survivor from the Auschwitz-Birkenau concentration camp where she lost part of her family during the Holocaust. She passionately fought to legalize abortion for women in France (1975) and served as a member of the European Parliament between 1979 and 1993. Inspirational and legendary — is how some of Simone’s former colleagues described her. In 2011, for her contribution to the European idea, the European Parliament inaugurated the “Simone Veil Agora”, in front of Parliament’s Altiero Spinelli building in Brussels. After Simone Veil’s death in 2017, a European commemoration was organised in the European Parliament. Loiuse Weiss was a member of the resistance and a journalist, a woman who strongly advocated in favor of the reconciliation between France and Germany. At the age of 86, she was elected to the European Parliament. As a deputy (1979–1983) she was a member of the European Commission of Culture, Youth and Sports. Many of the accomplishments of the European Union were based on her initiatives. Last year, I had the pleasure of meeting Sofia Corradi at the event organised by the European Academy of Yuste Foundation. We spent several days together in the beautiful monastery of Yuste in Spain, where we discussed the past, and the future of Europe. For decades, Sofia has been the driving force behind one of the EU’s most succesful projects: the Erasmus programme. Erasmus is the international exchange programme for young students in Europe. Sofia Corradi received many prestigious awards for her commitment to the process of European integration and the values it promotes. A number of initiatives on the EU level seek to empower young women and promote women’s memories of the European Integration, but also to add a gendered dimension to existing memorialisation. Some of these initiatives come from the grassroots, other are laden with the (de)ideological frameworks. The European Observatory on memories (EUROM) closely collaborates with the former female prisoners (and their families) in Barcelona in public recovery of the memory of the Prison of Les Corts. In 2012, they started a process for the establishment of a monument as a form of public expression to support and honor these women, as well as their families, who suffered repression and condemnation. The dedication of these ladies, whom I met few years ago at their memorial, is truly admirable. Europe was built by many extraordinary men and women, who were outside the spotlight.The EU might have risen as a project led by European political and intellectual elites (we call them now “powerful influentials”). Yet, we must not assume that the Eurostars, and Erasmus baby boomers are the only symbols of EU’s lived experiences. The first EUropeans were the blue-collar migrants. Thousands left their homes to search for jobs and better fortunes with bilateral agreements on labour migration. They, and their families were the first borders movers. They are those who built the EU with their own hands and blood in the mines of Marcinelle. We should not only remember those who were on the centre stage. There were many other visionary men and women, whose active engagement and ideas have been equally important. Now might be a good time to re-assess those historical beginnings and re-think how women, but also ordinary citizens, built in their lives into foundation of the European Union. This piece first appeared on Medium on 29 March 2018 and is re-posted here with permission. 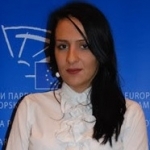 Ana Milosevic is a Researcher at the University of Leuven (KU Leuven), affiliated with the LINES Institute (Leuven International and European Studies). 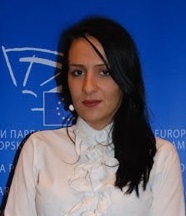 Her upcoming PhD thesis examines the impact of Europeanisation on politics of memory in the Western Balkans.